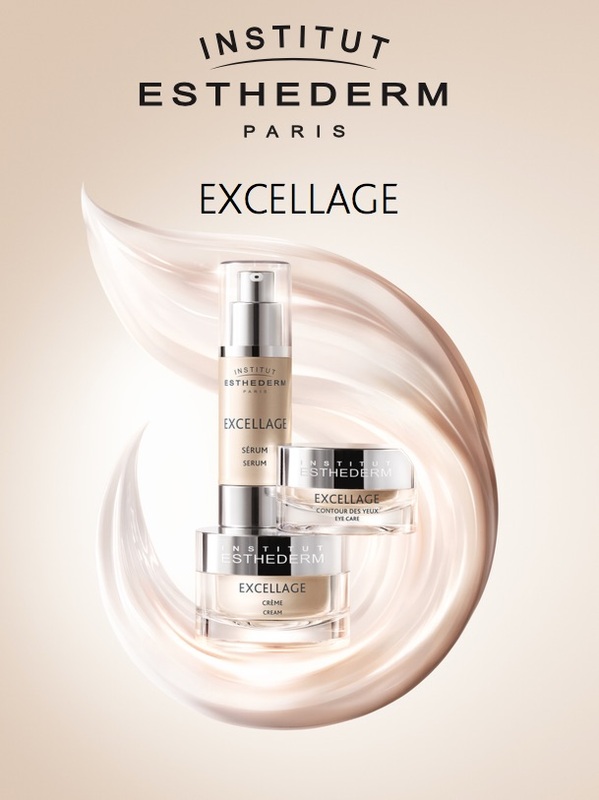 Institut Esthederm are launching an entirely new range this January – Excellage. As we age our skin sees a decline in important dermal components such as, collagen, elastin and hyaluronic acid. All of which are vital for maintaining radiant and youthful skin. Women aged 50 and over now wish to live in harmony with their age and are looking for sustainable beauty solutions. In response to that, the French premium skincare brand Institut Esthederm, has introduced its most scientifically advanced collection yet. With their extensive knowledge of exobiology and how it can positively impact the skin, Esthederm has used scientific research to create the Excellage range which improves cellular communication. Excellage Serum (£86) – Radiance. After 56 days, the complexion is more even. The serum stimulates proteins which are responsible for the maintenance of the skin. The innovative RADIANCE+ technology stimulates water retention to rehydrate the skin and the soft focus pigments improve diffusion of light. Resulting in younger looking skin, improved radiance and an even complexion. Excellage Cream (£81) – Nutrition. After 56 days, dermal density is restructured. The cream aims to restore skin’s tissues, strengthening its epidermal barrier, boosting hydration and most of all enable cells to communicate better. The cream enhances radiance and boosts hydrations thanks to the Cellular Water. Excellage Eye Contour (£64) – Density. After 56 days, more open eyes, smoothed wrinkles, reduced puffiness and dark circles. The Eye Contour stimulates the synthesis of connexions which are essential to the skin’s maintenance, cohesion and firmness. The REPAIR+ technology with a biomimetic peptide firms and deeply regenerates the skin. The Eye Contour opens up and relaxes the eyes making them look bigger alongside nourishes, restores radiance to the eye area as well as durably redensifies. Excellage enables cells to communicate better, restoring tissue cohesion and dermal density, strengths the epidermal barrier and nutrition, enhances radiance and boosts hydration thanks to Cellular Water. It is combined with Institut Esthederm’s professional application techniques for total well-being.